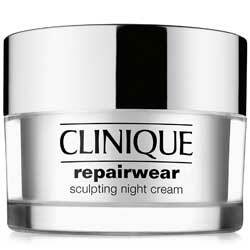 Normaderm Night Detox Reviews: Does This Help To Remove Fine Lines? Vichy Normaderm Night Detox Review: Does It Heal The Damaged Skin? Vichy is a brand founder in France, with a beauty philosophy founded on the Vichy Thermal Water Spa as the base ingredient for all of its products. Vichy Mineralizing Thermal Water: Contains 15 known minerals that bring practical benefits necessary to restore skin health. Use Vichy Normaderm Night Detox to periodically give your skin a more intense and deeper cleanse. Apply product only on freshly cleansed and toned skin. 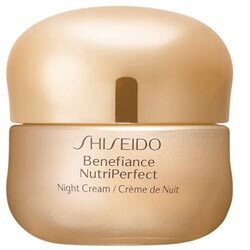 This product is specially formulated for oily and acne-prone skin types. It is formulated with salicylic acid, one of the most highly regarded ingredients for purifying skin. Normaderm Night Detox reviews show satisfied customers praising the positive results noticeable overnight. 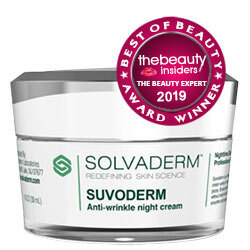 This product contains HEPES, a chemical used in this product as a way to balance the pH of a solution, which initial studies have indicated can cause free radical damage when it reacts with oxygen, thereby suffering your skin and speeds up skin aging. It contains highly irritating ingredients, including perfume and denatured alcohol, which makes this product generally not recommended for people with sensitive and problematic skin. Normaderm Night Detox reviews are limited and may not provide the best reference for evaluating the effectiveness of this product. 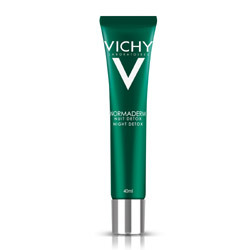 Vichy Normaderm Night Detox has all the makings of a great at-home exfoliant and is praiseworthy in that aspect. However, the toxicity of ingredients in the formula may not be exactly complementary to the detoxifying objectives that this product commits to deliver. There are cleaner products out there.